You simply use chalk to write the name of the spice or product that’s in the jar! Get the full how-to here! Best of all, it’s a very inexpensive project that takes no time at all and it’s a great way to re-use those old jars! That is so cool! I wish I had some chalk board paint! I know, right! Luckily it’s only about $10 a gallon! I have a soft spot for chalkboard paint. It’s incredibly affordable given that it’s so thick and you rarely need more than one coat. I have 3 gigantic pickle jars in my pantry that have this happening in their near future! I just love this idea! 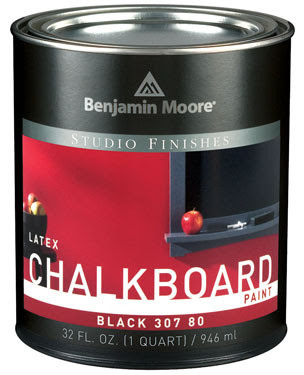 You’re absolutely right about chalk board paint being affordable and just plain awesome! Thanks for stopping by! Of course! Let’s do it!